Smart technology has become all-pervasive, from smartphones to smart TVs and smartwatches, along with the ever-growing collection of devices that make up the Internet of Things, with New Zealand electricity companies also harnessing smart benefits amid the ongoing rollout of smart meters. Smart has become an all-embracing term for this next-gen wave of technology finding its way into the hands of consumers around the world, but in the case of smart meters, what exactly does it mean? This is opposed to the traditionally used analogue meters, which require a meter reader to come to a consumer’s home to read the amount of electricity used since the previous reading, with retailers also providing estimated bills for invoice periods in which a reading is not taken. The rollout of smart meters has brought significant changes to the industry in recent years, changing the way in which electricity consumption information is accessed, providing for real-time tracking of power usage. While electricity retailers can use this technology to obtain further information on consumption habits, consumers can also use it to develop an understanding of their power usage and the potential ways to cut costs. Electricity Authority figures from last year showed that seven out of 10 New Zealand households had a smart meter installed, with 1.25 million smart meters having been installed at residential electricity connections. In New Zealand, the rollout of smart meters has been retailer-driven, having been carried out over a number of years, with respective retailers having undertaken individual rollouts of the technology in various regions. Meridian Energy, for instance, states that it is working towards all of its customers having a smart meter by early 2017. 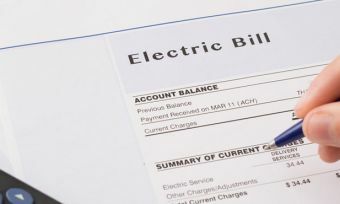 Contact Energy, meanwhile, states that it is currently deploying smart meters in all areas of the country, with it sending letters to customers advising as to when it will install a smart meter at their property. What new tariffs are available with smart meters? Providing electricity usage information in real-time, smart meters have seen the introduction of new tariff pricing structures into the market, which can broadly be referred to as time-of-use tariffs. These tariffs are structured to provide consumers with different rates determined by the time of day, allowing for consumers to time the bulk of their electricity usage during periods of lower rates. “Retailers are also introducing an increasing range of time-of-use tariffs, where the cost of electricity varies depending on the time of day,” the Electricity Authority states of time-of-use tariffs. Last year, the Electricity Authority had observed that 21 new retail brands had entered the market in the last five years, with most having “built their business models to use smart meter data to reduce costs, increase efficiency, improve customer service and offer new services and tariffs”. Electric’s product offerings include its Hour of Power, allowing customers to choose 60 minutes of off-peak power, with all electricity used during that hour free each day. Flick states that it passes through all of the wholesale costs of getting electricity to a customer’s residence without any mark-up, charging a separate fee to look after its customers as their retailer, stating it “is the first NZ electricity company to use smart meter technology and proprietary software to give customers access to the real-time, wholesale costs of electricity”. GLOBUG offers a prepay electricity plan, with customers able to check their current balance and top-up their account via the GLOBUG app for Android and iOS, along with seeing an estimate of how many days of power are remaining. The Electricity Authority additionally notes that smart meters will provide for “consumers to get the maximum benefit from new technologies, such as battery storage, solar PV and smart home technology”. Smart meter technology has additionally seen the development of more detailed online account management and monitoring services, providing consumers more information about, and further control of, their electricity usage. Meridian’s online service, for instance, shows how much power a customer has used, grouped by the hour, day or month, with customers also able to get daily and weekly usage alerts. “There are a number of benefits of having a smart meter on your property, including the ability to access our free online tools to easily monitor and manage your power bills and usage in one place,” Meridian states. Flick customers, meanwhile, can monitor the price of power in real-time via its CHOICE app. Smart technology has changed and is changing the way that we live, providing for greater accessibility and integration of services, and, in the case of smart meters, greater understanding and control over electricity consumption. However, while consumers now have access to increasingly detailed information about their electricity consumption, whether this ultimately leads to savings depends on how this information is used. Consumers are encouraged to shop around in finding the right retailer and the right tariff for their household consumption, and should consider all their options, be it a smart meter-focused tariff or a more traditional tariff in deciding what is suitable for their household. A smart meter, of course, is not a prerequisite for smart electricity usage, however the information it provides can be used to make more informed choices.